Nightmare in 7B places the player in a horror themed level where they play as Bernard, a man looking for his wife Eslie. 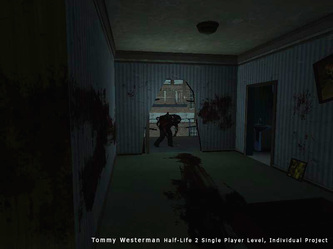 The player must search through the zombie-filled apartment building and then escape with Eslie to the roof. The gameplay of Nightmare in 7B plays the same as Half-Life 2, namely the gameplay in the “We Don’t go to Ravenholm” level. 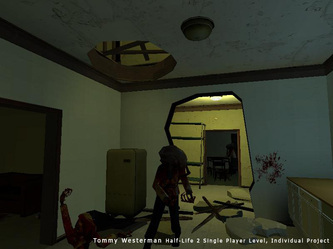 For the first half of the level, the player fights their way through the zombie-filled apartment building in order to find their wife, Eslie. After finding Eslie, the level takes on a different feel. Before, the goals were to search and survive; now the goal becomes to protect. 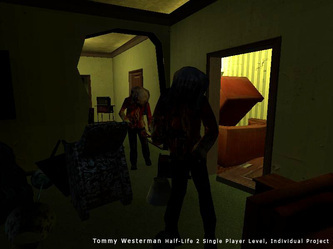 The player must protect Eslie at all costs and figure out a way to escape the zombie-infested city alive. Conceived and designed an original Half-Life 2 single player level. 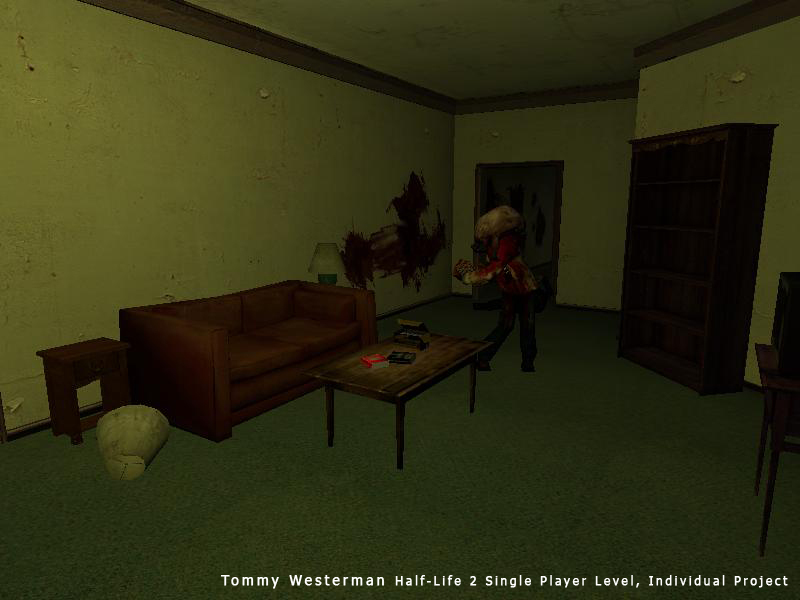 Created BSP, textured, lit, optimized and populated level based on a New York city apartment building. Created 10+ scripted sequences and 4 cut scenes. Created and textured 5+ static meshes.